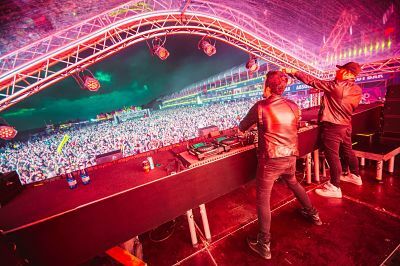 The brilliant Knife Party can perform at your event! 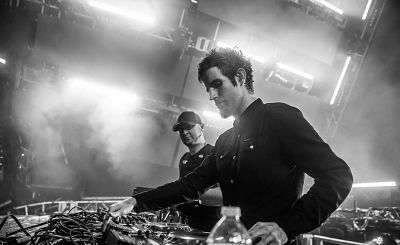 As a booking agent for Knife Party, we can arrange for Knife Party to DJ for your guests. 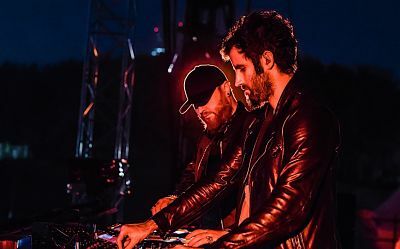 Australian electronic music duo Knife Party have done numerous high profile remixes to date, including Swedish House Mafia – ‘Save The World’, Porter Robinson – ‘Unsion’ and Nero – ‘Crush’ as well as a huge collaboration with Swedish House Mafia entitled ‘Antidote’. They take an inspiration from a number of different genres, and focus their attention on everything except straight-up drum and bass. Knife Party find their influence in electro house, dubstep, moombahton / 110, drumstep and much more. They however, file it all under the singular banner of ‘seizure music’. Knife Party’s first ever headlining show was BBC Radio 1’s ‘Come Together’ event at Space, Ibiza in August 2011. Their performance won over the crowd within minutes in spite of the crowd having never heard of them and it being the first time anyone (including their manager) had heard the music. Knife Party were broadcast live on Radio 1 and can now be found all over the Internet, with ‘Internet Friends’ becoming a viral hit overnight. 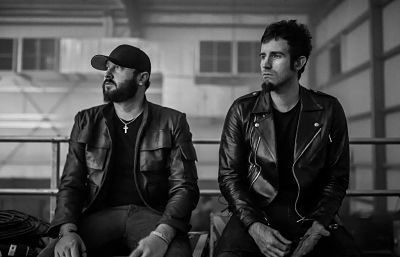 Since their first show in Ibiza, Knife Party have headlined Trilogy Part 2 in Leeds, the Warehouse Project in Manchester and supported Skrillex on select dates on his ‘Mothership’ Tour of North America. Knife Party played at the huge UKF Bass Culture at Alexandra Palace in London. Contraband is the UK’s top booking agent, with amicable, experienced account managers who guarantee you the best deal possible. Contact us today if you would like to book Knife Party to be the headline of your event! We as your booking agent are more than happy to help you create the most memorable moments with Knife Party.